How can the study of history help us to prepare for coming climate crises? In particular, what can we learn from the period known as the “Little Ice Age” in Europe about how climate change will affect our political and social institutions and our belief systems? 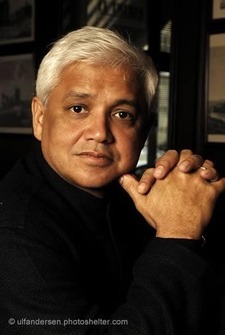 Internationally renowned writer Amitav Ghosh will explore these questions in his Nobel Conference address. In his latest book of nonfiction, The Great Derangement: Climate Change and the Unthinkable (2016), Ghosh directly tackles the problems of inaction and paralysis in our time of climate change. “The climate crisis is also a crisis of culture, and thus of the imagination.” He asks: Why are humanists, especially literary writers, reluctant to engage directly with climate change? How can addressing climate change be a priority for all humans? 2019 Foreign Policy magazine named him one of the most important global thinkers of the preceding decade.